We're all guilty of neglecting maintenance here and there. Some of us don't vacuum nearly often enough while others keep their closet looking like a nasty pile of clothing. Appliances too often get the same treatment: as long as it works, right? Unfortunately, this is rarely the case. 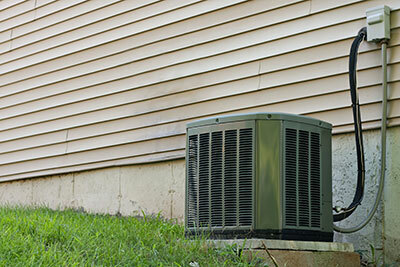 A lack of scheduled maintenance spells doom for a lot of electronics, and ACs definitely fall into this category. Much like a regular duct system, your AC can absorb various pieces of dirt and dust and the bacteria that goes along with it. Once there, it's easy to see how these pollutants can cause respiratory issues for everyone under the same roof. Despite the above, AC units don't get as dirty as you'd think due to their design, which is why there's a lot more to do to keep an AC unit in shape than wiping its innards with a wet cloth. Because of the complex mechanisms involved in its operation, a maintenance check could be a precursor to a timely repair – many AC issues tend to become aggravated over time, making repairs difficult if not impossible after a certain stage. You've probably felt compelled to tackle this task on your own – you know, take the thing down, clean and examine it a little. It's a nice thought, but it won't accomplish much, as only a trained professional knows where to look and will see the warning signs early on. And, as already noted, the cleaning itself only forms a part of maintenance – while important, it's yet another thing you can't do without the proper tools. As if you needed more reasons to hand over the maintenance for us, there's also the chance that you could damage something while opening the AC or putting it back on the wall. This could end up forcing you to pay repair costs for an AC that was fine to begin with – all in all, not an attractive proposition. We've also come to realize that certain customers are reluctant to call contractors over "just for an inspection". Some think that they will be charged plenty for a simple checkup while others are worried that the contractor might invent issues that need to be fixed right away. This is definitely an issue in our industry as well as many others, and you should exercise caution when working with contractors you haven't seen before. 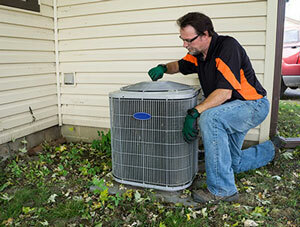 However, we implore you not to worry about that when working with Boerne Air Conditioning Experts. We've always wanted to make our customers feel as comfortable as possible when dealing with us and the way we handle even smaller tasks is a perfect example of this. If you're having trouble dialing our number, think of us as friends with air conditioning knowledge who are coming over to check your AC. You can talk to us and ask us any questions you might have without concern – we're happy to talk to our customers both over the phone and in person. And equally as important: you won't have to pay for any service you don't want.